Concierge Medicine, often referred to as Personalized Healthcare or Direct Care, is a rapidly growing trend in healthcare driven by both patients and healthcare professionals with the aim of establishing a better, healthier quality of life. It is a relationship between a patient and a physician, in which the patient pays an annual fee or retainer. This may or may not be in addition to other charges. In exchange for the retainer, doctors provide enhanced care. Other terms in use include boutique medicine, retainer-based medicine, and innovative medical practice design. Concierge Medicine is ideal for those serious about maintaining an active role in their personal health and value one-on-one healthcare with a trusted physician. 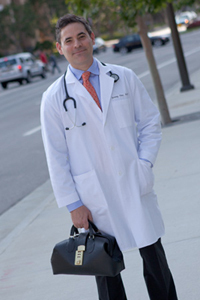 Dr. Fine's Medical Concierge Program offers unique options as part of your healthcare plan including a yearly comprehensive executive physical, house calls to your home, office or hotel, and 24/7 availability by phone or email. He also offers a special Executive Medical Tract for the local Century City community. Dr. Fine's mission is to make the highest quality of medicine available to those who require it, desire it, and simply won't settle for less. Each year, you will receive a comprehensive examination consisting of a thorough review of your medical history, complete physical examination, comprehensive lab and urine testing, hormone evaluation, and cancer and heart disease screening. As part of your annual plan, your nutritional status will be evaluated and monitored, and recommendations will be made to improve your underlying medical concerns, conditions or diseases. As part of your annual plan your medical records will be digitalized and available to you on an internet based platform, available to you 24/7, anywhere in the world. See My Medical Records. As part of your annual Medical Concierge plan, you will be seen on a same-day basis, usually within 1-2 hours of your call. See House Calls. 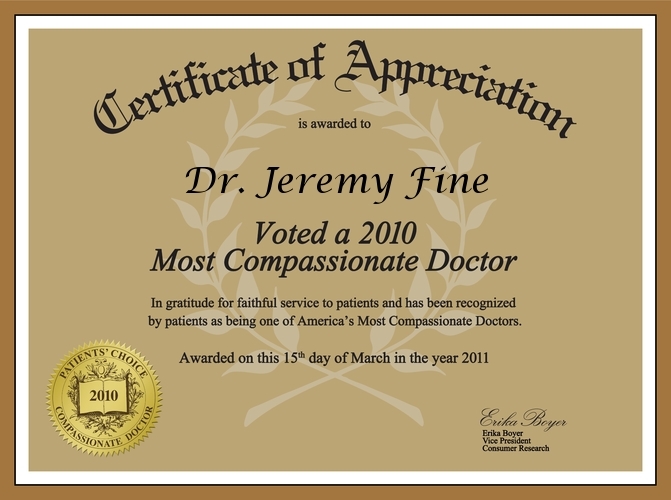 You will be provided with Dr. Jeremy Fine's personal cell phone number and email address for direct access 24/7. The International Physician Network allows for excellence in medical care while traveling within the United States or abroad. 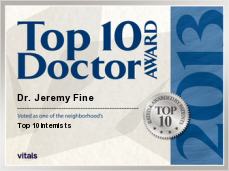 Dr. Jeremy Fine will help ensure you are in the best of hands no matter where your travels take you. Call 310-556-8898 24/7 for a housecall to your home, office or hotel room. Tired of waiting in emergency rooms, can't see your doctor for several days, too sick to travel, or simply don't want to miss work? If so, you are the perfect candidate for a house call. Allow us to come to your home, office or hotel room and save you time and aggravation. Our services are prompt, professional and courteous and are usually at your location within 2 hours of your call. House calls offer many benefits to patients and physicians; it has the potential to cut costs by eliminating unnecessary ER visits, and it has the potential to help re-establish a more intimate doctor-patient relationship. Pulmonary Function testing and Cardiac Holter Monitoring. *For any life threatening situations, dial 911 right away. 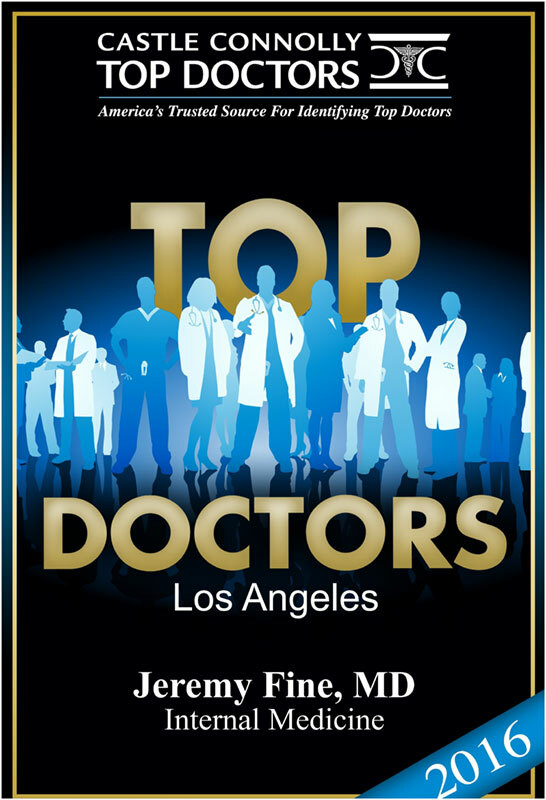 Practicing in the heart of Century City, Dr. Fine offers an exclusive executive medical tract for the local business community. This tract provides healthcare to executives and companies to help maintain health, and productivity in the workplace. Annual Executive Physicals coupled with workplace yoga, relaxation seminars, stress reduction seminars and nutritional support for executives and employees ensure the highest level and quality of corporate health and efficiency in the workplace.